Recently there has been much debate around car parking and apartments in Christchurch. There are a number of new apartment complexes being built with neighbouring residents wondering where all the cars will go. The most recent example is the Williams Corporation development on 420 Hagley Avenue. This development has 39 apartments and no car parks. Current residents are concerned that the apartment complex will add further stress and competition between hospital staff and visitors, Hagley Community College and netballers for car parks. It will be very interesting to see how all it works out. From personal experience visiting someone at the hospital, even at night, finding a car park was extremely difficult. From my experience, cars and apartments still go together. Buyers and tenants at open homes usually want to know is there a car park? It remains a significant factor in their buying and renting decisions. At present public transport does not meet everyone's needs. According to the Ministry of Transport, only 35 per cent of people in the city used public transport in the last year, in Auckland it's 60 percent and 77 percent in Wellington. Also the routes are not that user friendly and current passenger numbers are around 80 percent of pre-earthquake numbers. Car park size also important. Living in the city does not mean those living in apartments will be giving up their cars or SUVs. Car park size need to be considered when building new developments, with plenty of clearance to manoeuvre a long and wide SUV. I raise this about SUVs as I saw this recent article by David Chaston about which motor vehicles are currently being purchased. The love affair with SUVs continues. I have put the link below so you can read the full article. As David Chaston notes "New Zealand's new car market is changing fast - even if the number of new cars sold has topped out. We are choosing SUV's increasingly when we do buy new. In fact, now more than two-thirds of all new cars sold are SUVs. The sales of SUVs are growing at +9% year-on-year. Sales of traditional sedans are falling -9% pa on the same basis. SUVs of course come in various forms; compact, medium, large, and luxury. Sales of the compact category have been on the move higher, and are now at a bit less than 30% of all SUVs. In the year to June 2017, their sales were up +22%. The medium-sized category won almost 43% share in June, and that is growing at an +11% rate. But the large category is losing favour, selling -6% less in the year to June. I hope you have found this useful, and please let me know your thoughts by commenting. This immaculate centrally located townhouse offers open plan living that flows to a north facing fully enclosed private courtyard. 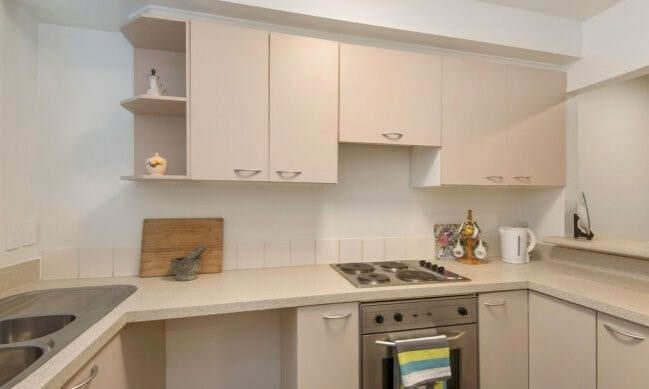 It has a modern kitchen with stainless steel oven, dining area and living with a heat pump and is fibre enabled. The property has been completely redecorated, painted inside and out with new carpet and curtains. There are two bedrooms both with built in wardrobes, and a spotless bathroom, plus internal access to a single garage. 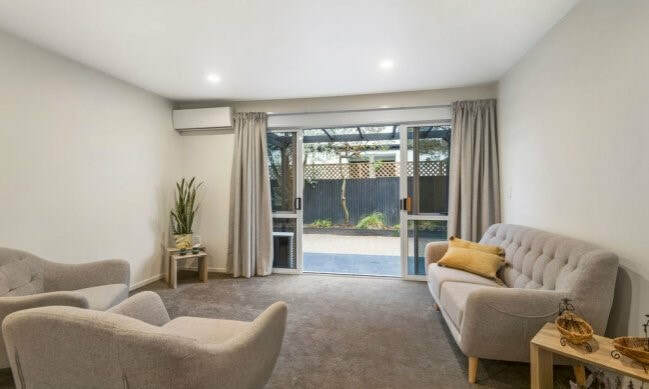 This St Albans property is situated within walking distance to the Edgeware shopping village, the CBD, schools, and a great bus service. A great opportunity like this needs your urgent attention to secure this investment in a convenient and sort after residential suburb. Call me today to view this fabulous townhouse, you will love it! Well the dust has finally settled after the "bombshell" report by Sir Peter Gluckman, the Prime Minister’s Chief Science Advisor, into methamphetamine residue. Sir Peter found no evidence of health risks from third-hand exposure to methamphetamine smoking residues on household surfaces. (The Link to the report is below). This is a complete revolution in thinking and is some much needed leadership on a matter that was developing a hysterical edge. Full disclosure is always the best option when selling your apartment. When matters are not disclosed, people who live around the property may do it for you. In December 2017 a young family found out that the property they had purchased was contaminated with meth, when an anonymous letter was delivered to the house. Can you imagine how they felt? Full disclosure would have given all interested purchasers an awareness of the situation. So that when the letter arrived, the buyer was already aware and there was no big surprise. So how does this affect buying and selling apartments? Methamphetamine, meth or P is a powerful and addictive illegal drug. It can affect the health of people who live in a property where it has been produced or smoked in large quantities. A property that tests below 15 micrograms per 100cm2 is considered safe to live in, with no adverse health effects. The report said there was little reason to test a property for methamphetamine contamination unless there was a strong suspicion that it had been used for methamphetamine production or there had been very heavy use. The report found no evidence of adverse health effects from third-hand exposure to methamphetamine smoke residue on household surfaces below 15 micrograms per 100cm2. Methamphetamine that is inhaled or absorbed through the skin leaves the body within about a day. Residue levels on household surfaces also diminish over time, so a person is not exposed to a constant dose every day. The level of 15 micrograms per 100cm2 still includes a large safety buffer. The report also found that there was little need to test for methamphetamine contamination unless there was strong suspicion or information from police or forensic experts that a property had been the site of production or heavy use of methamphetamine. If a vendor or prospective buyer wants a property to be tested, it is important to make them aware that the methamphetamine testing industry is not currently regulated in New Zealand. The report notes that composite field testing, where multiple samples taken throughout a property are combined into a single sample, can lead to false impressions of high levels of contamination. This type of testing is not recommended. Remediation back to 1.5 micrograms per 100cm2 is only required where the property was used for methamphetamine manufacture involving solvents and other toxic chemicals, as the methamphetamine reading is used as the marker for these other toxic chemicals. These chemicals are not usually used in methamphetamine production now. Remediation to below 15 micrograms per 100cm2 is required for a property where only methamphetamine use took place. Apartment owners and real estate agents are required to fully disclose information that is relevant to a buyer. Prospective buyers who remain worried about methamphetamine contamination should read the Gluckman Report (the link is below) and seek legal advice before signing a sale and purchase agreement. What happens when an apartment owner finds out their tenant has been subletting their apartment on Airbnb? This week an apartment owner asked the Tenancy Tribunal to rule on the profits from a tenant subletting their apartment on Airbnb. The tenant, under their Tenancy Agreement, had agreed to not sub-let the apartment specifically through Airbnb. The Tribunal found in the owner's favour and directed the tenant to repay $2,150 to the owner. However this is an issue that's greater than the profits of tenants on Airbnb. Airbnb have the unique ability to disrupt the smooth operation of an apartment complex. At an individual level, the owner will not know who is in their apartment and accordingly has no way of vetting these short term tenants. When the tenants have not been vetted, this compromises the safety and security of everyone in the complex. Owners can also expect more wear and tear on their apartment and who will be liable for any damage - the tenant? The Body Corporate should also expect damage to the common areas, akin to running a hotel. What is the insurance situation for owners and Body Corporates respectively? This should be a concern to owners and Body Corporates alike. Airbnb's catchphrase is "Live like a Local", but what happens when the guests have gone? Below there is another article about Airbnb operators not paying commercial rates and what Queenstown is doing. One interesting point in the article is that Christchurch has more Airbnb to rent than Queenstown. 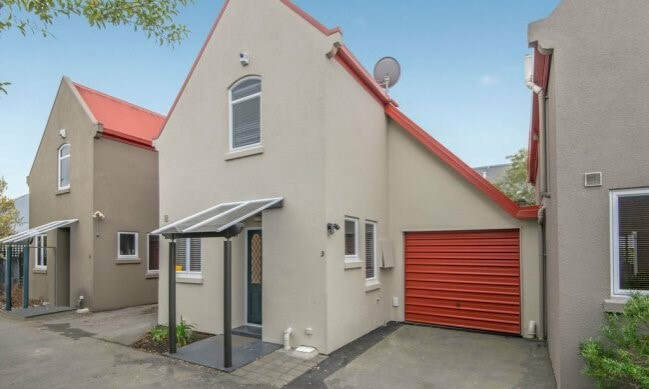 One host alone in Christchurch has 27 properties available. The article raises interesting questions about apartments being compliant for short term guest accommodation, the resource consent, and disrupting the neighbours. ​Airbnb not only disrupts the short term accommodation market, it also has an impact on the rental market. More apartments available for Airbnb means fewer properties for long term tenants to rent. These questions currently face the Christchurch City Council in their Long Term Plan, it will be very interesting to see what they come up with in the Plan. Just heard this interesting interview between Chris Lynch and Duncan Webb, Christchurch Central MP, about the size of apartments available for rent in Christchurch's inner city. Not sure with how it compares to the District Plan, which I have copied for your information. 3 or more Bedrooms 90m2. When people think of apartment living, they often have a mental picture of childless, pet free households living the inner city apartment lifestyle​. So how does it work if you want to bring the kids or have a dog? Here is an interesting article that goes some way to answering that question. The people interviewed have great ideas about how to make the city an extension of your home. As children of apartment owners have no back yard to play in, a great alternative is the Margaret Mahy park, or Hagley Park to play, walk or cycle in. The Botanic Gardens are also a great spot for flower gazing and strolling. For children it works if there are lots of local amenities, like parks, libraries, museums, and city events. An upcoming event that is super family oriented is the Botanic D'Lights which illuminates the Botanic Gardens and The Arts Centre. Held between 8 August 2018 to 12 August 2018, 6pm - 9pm. The Entry points are: Western Gate, Southern gate, Rolleston Ave Gate and Armagh Street Gate. Should be a lot of fun! Will the east frame ever be built? The Government is to contractually bound with Fletchers for the development of the east frame. As the article below explains, Fletcher Living is building just on two of the fourteen lots of the project called One Central. Maybe it is time to hand some of the land over to other developers and interested parties, and see if suitable apartment complexes could be built. Whilst there are penalties in the contract the government has with Fletchers, hopefully the government put some penalties of their own for non-completion, or delays. As City councillor Jamie Gough has recently said central city living was one of the "most critical elements" of a successful rebuild. It is critical that the an inner city population grows faster than current rates to drive a successful regeneration of the central city. The businesses that have invested in the central city need more than the few pockets of people currently living in the city. For those apartment buyers looking to buy off the plans the benefits seem obvious. They are getting a new apartment 100% compliant to the latest building code, with all the mod cons and the price is fixed at the time of purchase. Below is a list of some things to consider before you commit and always seek professional advice before signing on the dotted line. Where the apartment development is critically important. How close will you be to local amenities, public transport, shops, supermarkets, cafes and restaurants, cinemas, schools and tertiary institutions. Is it an area where there is lots of development, like other apartments and conveniences? There's no point in purchasing an apartment if you cannot walk everywhere, or it's not handy to city amenities. Are you going to get plenty of natural light? What about sun? Will your apartment be blocked by a future development? What is being built next door? Choose carefully as these things cannot be changed. When buying off the plans you can often choose the best one, well located in the complex for best sun or views. You also may have more say over the design, colours and finishes to put your personal stamp on the apartment. When the market is buoyant, the apartment could increase in value over time. However if the market falls while the apartment is being built, you could struggle to sell and recover the initial purchase price. Other disadvantages are that the apartment may not meet your expectations once built. The building time could take much longer than the developer initially estimated, or the finish dates may keep being delayed. Worst case the builder goes out of business midway through the build process. You need to be careful and check out the developer's and builder's track record and credentials, be satisfied that you can trust them. Get good independent legal advice, there is so much that is different in buying a conventional stand alone home. Make sure there is a solicitor's approval clause in the contract and if not ask for it to be added. It is essential that your solicitor approve the Sale and Purchase Agreement. Find out what changes, if any, can be made. Your solicitor will want to know where the deposit will be held, preferably in a trust account, so you earn interest on the deposit. Also how long is the conditional period? If there is a sunset clause (when the development will be finished) and what happens if extra time is needed. Extra time can go from a time period of two or three years to five and beyond. Otherwise you can have your full deposit refunded the sunset clause has expired. The Agreement is specifically written to favour the developer. Most contracts allow the developer to make changes without your consent, even altering the physical size of the apartment by up to five percent. Other changes could include changing the layout, the materials used and finishes. You will also need legal advice concerning the Body Corporate, every apartment building has different arrangements. There is no one size fits all when assessing each building, all the documentation like Annual General Meeting minutes need to be carefully considered. Thoroughly investigate the Body Corporate and examine the Rules. Ensure that the annual levies are realistic to cover the ongoing and long term maintenance costs. What restrictions do the Rules have regarding pets, use of the common areas, policies about noise, safety and security. See my FAQ page on Disclosure Statements, for documentation about Disclosure Statements. ​The content of this website is provided for general information purposes only and by viewing it you acknowledge that all information, including any prices advertised, are indicative only and subject to change at any time without prior notice. Nothing on this website forms part of any agreement for sale and purchase. While care has been taken in preparation of this information, no responsibility is accepted for the accuracy of the whole or any part of its content. Viewers are advised to make their own enquiries in relation to the content.